Written by Terri Bruce on 07 February 2013 . 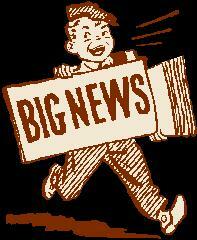 Psstt...want to win $100 worth of free books? Okay, so that was a trick question - of course you want to win free books. I mean, honestly, who doesn't?! 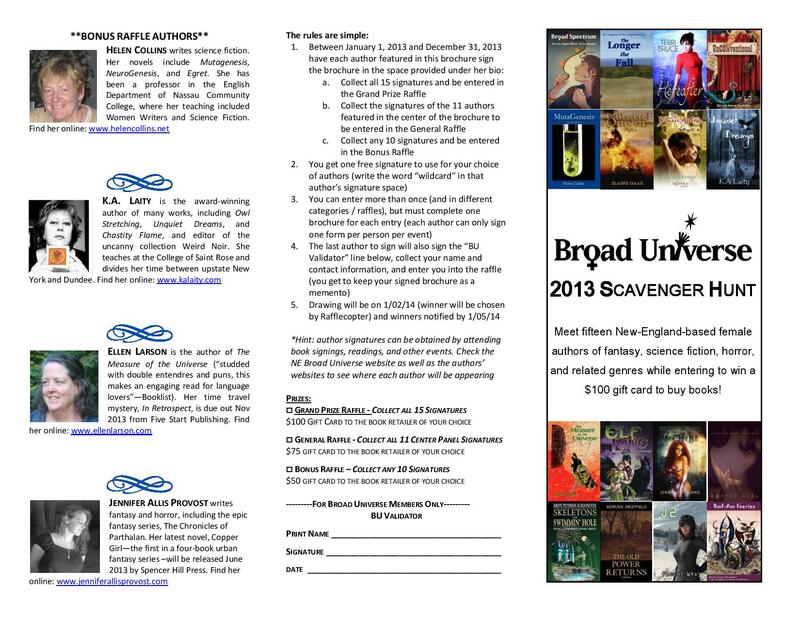 Well, you're in luck because I am thrilled to announce the launch of the 2013 Broad Universe New England Scavenger Hunt! The game is easy - collect anywhere from ten to fifteen signatures from participating authors and be entered to win a gift card ranging from $50 - $100 to the book retailer of your choice (local bookstore, small press, Amazon - the choice is entirely yours)! So...attend fun author events - meeting local authors, finding great new reads, and supporting your local bookstores in the process - and enter to win $100 worth of new books. Win-Win!! !